Sara and Shona were pleased to exhibit again at this year’s East Midlands Expo. The Expo is an annual event focussing on property, construction, finance and business and is a great day for networking. We had a successful day and it was a good opportunity to meet up with associates old and new, rekindle existing working relationships and hopefully strike up some new ones. 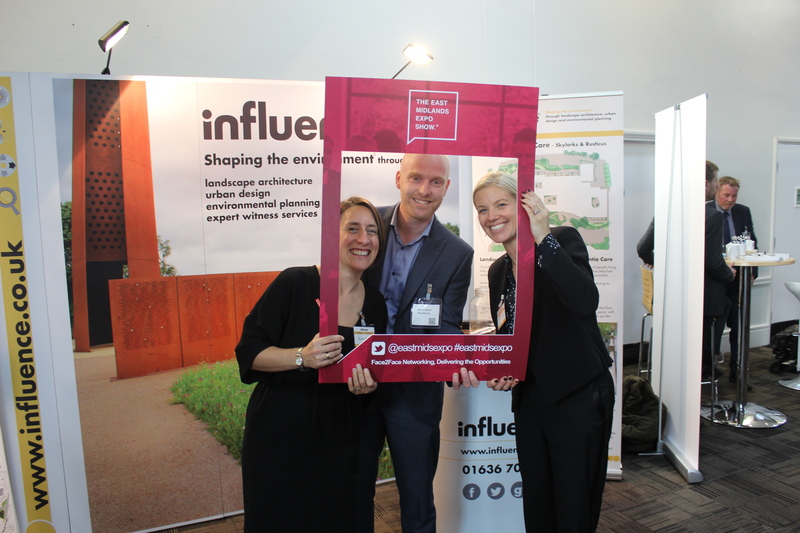 Our business card draw winner (for a bottle of Prosecco) was David Shaw of Pick Everard – congratulations David! Ramm Sanderson, BSP, A+G architects, DeltaSimons, Rayner Davies Architects, CPMG architects, Baker Consultants, Inspire Design, DLP Planning, Pygott & Crone, Team Lincolnshire, RG Carter and many more! Our door is always open to discuss landscape opportunities so please feel free to drop us a line… and we hope to see you all again soon.